The news had spread all over the internet by morning. 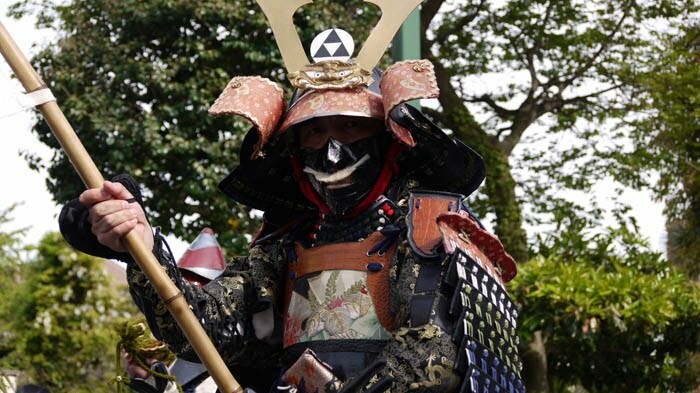 Armed Samurai had taken over the streets of Odawara Japan. Ok, no not really. Oda Nobunaga did not rise from the dead nor were there any die hard Aizu Retainers on the prowl. It was actually a large group of re-enactors participating in a large Samurai Matsuri in Odawara. As a former historical re-enactor myself, I take great delight in viewing Samurai re-enactors on parade. If you read other Japanese sites, you may already be aware of this historical festival held every year in Odawara near Tokyo. Now I have never been to Japan. But if I could, this would be one of many events I would like to see. In the meantime, please enjoy the video footage below. おねがいします! I enjoyed the video. My favorite festivals are the Nobunaga festival held in Gifu and Nagashino. The matchlock rifles rock! 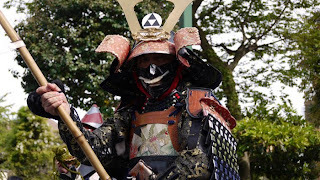 There is nothing beter than the Kawanakajima battle reenactment in Yonezawa, Yamagata-ken, around May 2-3.